The project SystemFugen is provided as two groups, MGCL and fugen. MGCL is a 3D surface modeler that utilizes NURBS free form surfaces and curves. MGCL can be used as a DLL library. As a modeler, MGCL supports shell modeling that connect trimmed surfaces, and enables a watertight tessellation of shell model. For its rendering, it supports the interfaces to OpenGL4. It provides fundamental mathematical function classes such as vector, matrix, or others. On the other hand, Fugen is a 3D surface modeling system that uses Windows MFC framework as its Man-Machine interface. We use IGES file format to exchange models. 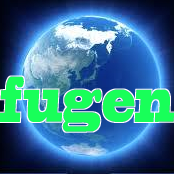 We look for some engineering company who use Fugen, and CAD developpers who and work for Fugen.